On Sunday, August 7, Duterte confirmed the former president’s burial at the cemetery where past presidents, soldiers and fallen heroes are also buried. 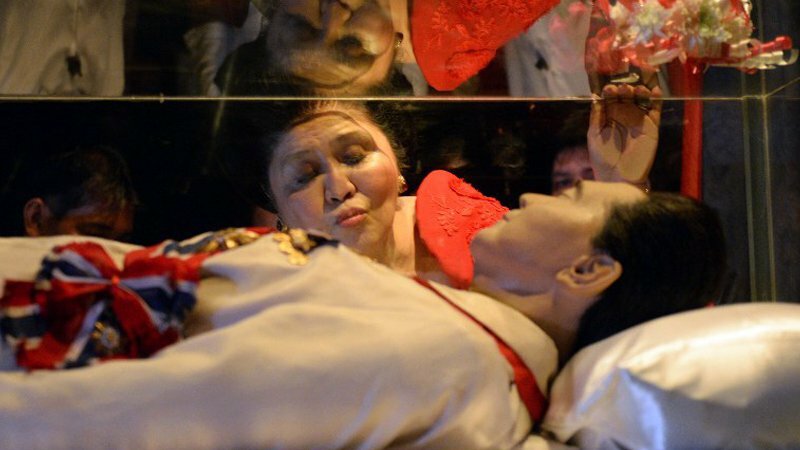 Duterte emphasized that Marcos is qualified to be buried there since he is a former soldier and a president. He also welcomed protesters to rally on the streets. Department of National Defense (DND) Secretary Delfin Lorenzana issued a memorandum instructing Armed Forces of the Philippines (AFP) Chief of Staff General Ricardo Visaya to oversee the planning and preparations for the internment of the late strongman at the heroes’ cemetery. Robredo in a statement said Marcos should not be given the honor to be buried in the Heroes’ Cemetery. Marcos’ only son and namesake was Robredo’s closest rival in the recent vice presidential race. “This decision will not bring unity to our country; it will only deepen the unhealed wounds of the survivors and family members of victims of the terrible years under the Marcos presidency,” Robredo said. “Furthermore, his heirs continue to deny that these sins against our people happened. They continue to have no remorse and still prevent the return of the wealth that they stole,” Robredo added. In a viral Facebook post on August 6, Sen. Pangilinan expressed his opposition stressing that “burying a murderer is not moving on”. “It is not going to heal the nation nor will it unite us...it will only deeply divide us, reopen deep wounds of those who suffered, causing them to relive the gnawing pain and memory of loved ones jailed, tortured, murdered, salvaged or who disappeared because of the tyranny and oppression of the dictatorship,” Pangilinan wrote. Meanwhile, former Senate president Drilon urged Duterte to reconsider his decision as it may further divide the nation. "At this point in the history of our country where Filipinos are starting to hope again, what our nation need is unity in order for our country to succeed socially, economically and politically,” Drilon said.